Whispering Ridge, our executive course, opened in 1996 and is well-designed to accommodate novice and advanced players alike. Bent grass tees and sculptured fairways, combined with picturesque views and virgin roughs, are the notable qualities that generate the increasing popularity of Whispering Ridge’s brisk 18-hole challenge. 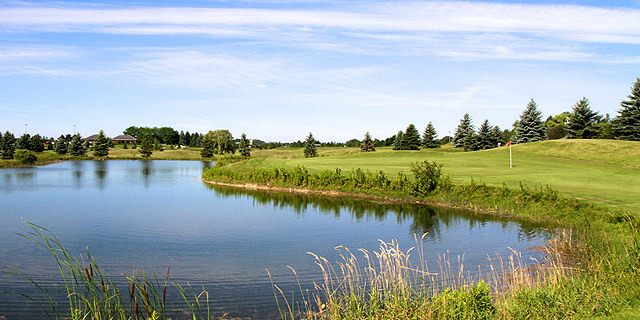 Whether you’re new to the game or a seasoned player, Whispering Ridge offers a distinct and compelling alternative to the Lakeridge Links course.